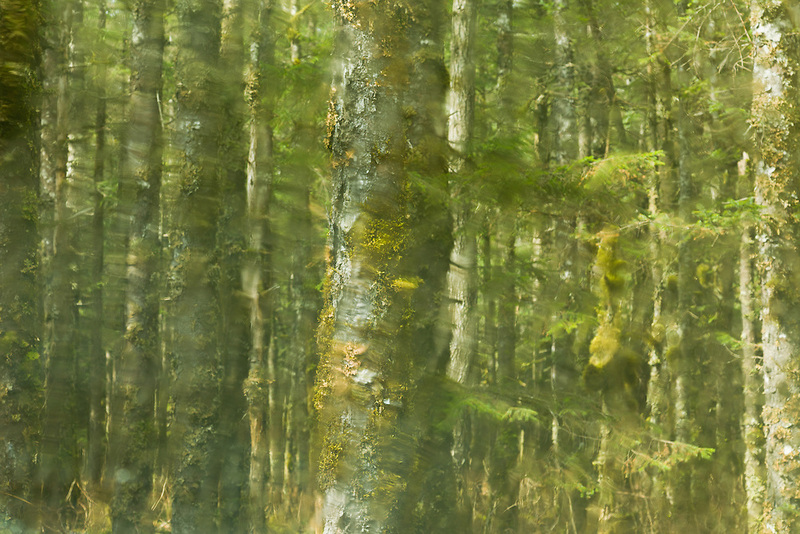 Blurred view of rainforest at Saddlebag Glacier Trailhead in the Chugach National Forest of the Copper River Delta near Cordova in Southcentral Alaska as seen through windshield during rainfall. Spring. Afternoon.